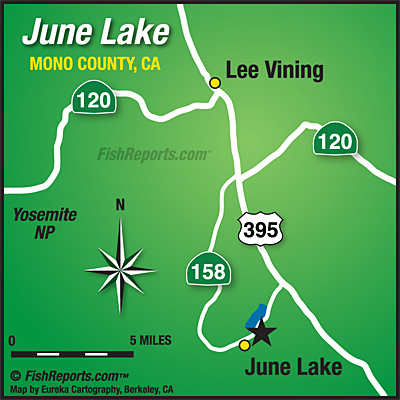 June is pretty much the best choice for shore anglers since most of it is easily accessible. Throw out the usual baits and lures. Boaters have been hauling in "stockers" near the marinas and northeast end. 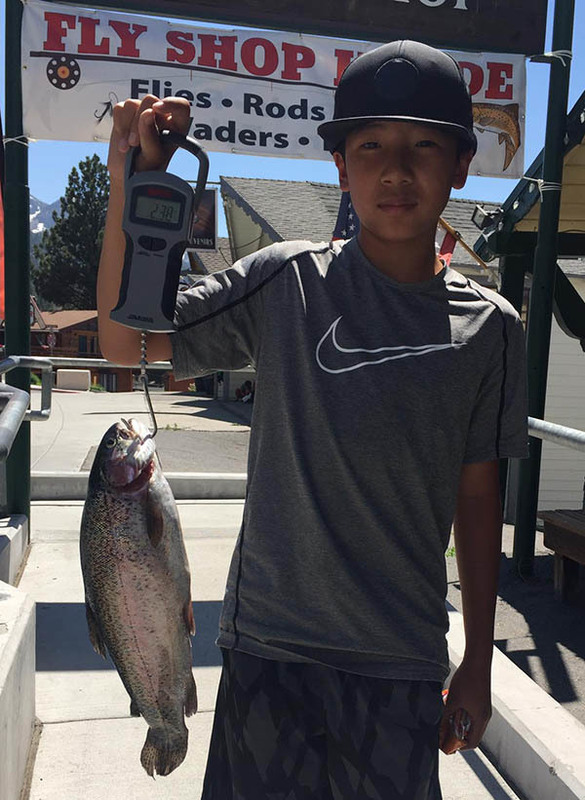 To hook up the bigger Rainbows and Cutthroats during mid-summer you gotta be trolling 7 to 9 colors lead-core and even deeper with down riggers. "Silver", one of our locals has been git'n 'em lately at about 7 colors with red and gold Phoebies and hanging a night crawler on a Wedding Ring. Needlefish and Tazmanian Devils are go to as well. Abby at June Lake Marina tells me 5 to 7 colors morning, 8 to 9 mid-day. June got a load of 3 to 5 pound Oregonians recently with more due in Aug. and Sept.